7 foods to cope with stress. Now the time to look back in your favorite foods, if the food is healthy or not. The food had a stake in maintaining your health remained normal. Stress and repair mod also affected by foods and your diet. So, keep your diet with healthier foods. Here are some healthy foods that you can choose as your diet. The following foods are good for dealing with stress and keep the body healthy. Low-fat dairy such as skim milk, low-fat cheese and yogurt is a dairy product that is full of calcium, protein and vitamin D. These foods are good for your health for many reasons including the prevention of depression and stress. In addition, products derived from milk also contains specific peptides, which are proteins that are useful for relaxation. Furthermore, the foods to cope with stress is dark chocolate. Chocolate proved able to cope with stress levels when consumed in moderation amount. Dark chocolate is helpful to release the serotonin hormone and relaxes blood vessels. 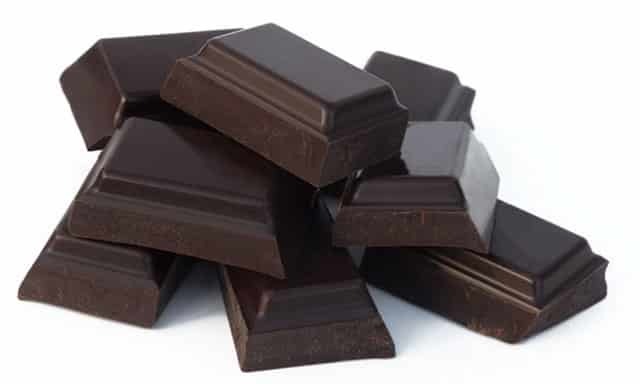 In addition, dark chocolate also contains flavonols and polyphenols. However, you also need to know that dark chocolate is a food that is high in calories. In 30 grams contains 150kal, so eating just one small part at a time. Also, healthy food that can prevent stress and keep the body healthy is orange. Oranges are foods that are loaded with vitamin C and contain complex sugars that are released into your body slowly. Fatty fish is a repository for omega 3. No better source of omega 3 fatty acids than fish. Among these fatty fish are sardines, wild salmon, tuna and mackerel. So, omega 3 fatty acids found in some fish is not only good for avoiding brain from stress, but also good for overall body health. Garlicis a natural herb that has been shown to have the ability to have a positive effect on health. Garlic is a storehouse of antioxidant that are useful to neutralize free radicals in the body. Free radicals are the cause tissue damage skin cells and cause premature aging. One of the beneficial compounds in garlic is Allicin. This compound is associated with the extraordinary benefits that fend off cancer, heart attacks, and the common flu. Garlic is included in foods to cope with stress because it can boost immunity. Stress is a mental health symptoms that can weaken the immune system. One of the important food for depression is the food come from grain. Grains are high in fiber and healthy food for the body. In addition, brown rice and oatmeal also include foods that are good in the fight against stress. Foods derived from grains helps release serotonin so that you feel a sense of happiness. Debbie Mandel, a stress management expert and author of Addicted to Stress say that complex carbohydrates are amazing foods in improving mood quickly. Then, the foods to cope with stress and healthy for the body is walnut. Eating walnuts in the amount of moderation are able to keep the stress level because it is the food which is the source for healthy fat and a source of omega 3 fatty acids. That seven healthy foods to cope with stress and keep your body healthy. Make sure you like the food and provide a menu of your daily diet.